It’s obvious, our financial houses are a mess. Whether it is our government’s, our company’s or our personal financial house, problems in one affect that other. Nearly every American has seen a diminished pay-check since the beginning of the year. The government has not balanced a budget in several years, but then many individuals haven’t developed a budget for their personal lives either.Governmental spending is unchecked and as congressional members seek to appease their constituents with pork-barrel projects often just to keep their careers viable, companies and individuals often function much the same, with little constraint when it comes to purchasing, investing or having a series of true checks and balances. We are all out of control! Many individuals have convinced themselves they have no margin for saving and little for re-adjusting their budgets, if they even have one, but a budget which really disciplines us to live within our means is a learning process sometimes only acquired after numerous mistakes and failures and years of ignoring the need to do something different with one’s finances. Tithing is a Biblical principle and although we might bulk at the thought, taxation is as well. It’s unrealistic to not be expected to support programs which make our lives safer, healthier, more educated and simply beyond marginal. Biblical principle or not, Tax is not going away. Truthfully, “fair share” is hardly accurate. 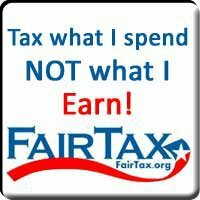 There are so many loopholes, tax code interpretations, exemptions and levels of deductions that we might refer to our current tax system as anything but fair. So if as Christians we are actually expected to tax and be taxed, is it not a more fair approach to ask those who consume more to be taxed more? Realizing we will all be taxed the same based on what we purchase, may help make every consumer more conscientious about wants and needs. Sure, someone wanting a boat and able to afford it may purchase a boat but someone else wanting the same who really can’t afford it to begin with might decide the better choice is to not buy because the taxes make the payments even more prohibitive. A flat tax or similar economic process means yes, the rich can afford to buy more, but wait…can’t they do that already? Now, the more they buy, the more they pay and those who have always been frugal will continue to reap the rewards of their discernment. In the Bible, everyone was asked to tithe 10% of what they had to offer. Whether someone has $2,000,000.00 or $2,000.00 everyone was expected to tithe their fair share. If we went back to these principles, perhaps we could finally get our economic houses in better shape. Aspiring to be wealthy is not wrong, especially if you have worked hard and earned your success. We should encourage individuals to use their gifts to their greatest ability and succeed in greatest measure. It should not be about tax brackets, loopholes, or write-offs. It should be about taxing what we want because it doesn’t matter whether you are rich or poor if we are both going to pay the same tax on the same car, plasma television or winter coat. Yes, the poor will always be with us as will the rich, but perhaps the lack of a fair flat tax is now creating a chasm where there are two end of the extremes and no middle. 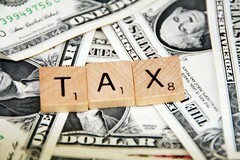 IS A FLAT TAX A MORE CHRISTIAN APPROACH TO OUR ECONOMY? There are many aspects to work out but the reality remains the same…resentment, frustration, class-envy, personal accountability and self discipline would all be changed by instituting a FAIR TAX and I think it is time we ask if we don’t need a true change to get all our fiscal houses repaired and in working condition. Kathy Brunner encourages her readers to visit her other blog, FINDING YOUR FIRE, learning to live fired up instead of burned out and to join theFACEBOOK TRIBE to share their thoughts and experiences as well. 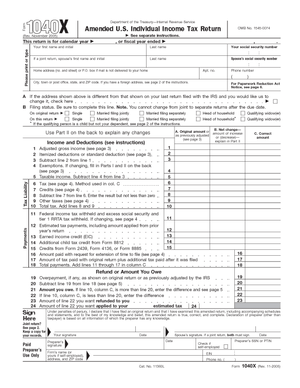 This entry was posted in Uncategorized and tagged Christian response, fair tax, finances, fiscal responsibility, Government, poor, tax. Bookmark the permalink. 1 Response to WHAT’S FAIR?